← Is there a better midfield in the PL than Arsenal’s? Is it really that hard to rotate sensibly? I know I bang on about using the kids more often, but quite frankly, I think that time has past. We have a core of players that are going to have to carry us until January at least. And even with any signings, most will get their introductions in the first couple of rounds of the FA Cup. Even the best players are going to need an adjustment period. So, for at least two months we are likely to be using a pick from 15 or 16 players. That is providing those who do come back from injury don’t suffer any relapses? The key period is this coming month, while there are still mid-week games to be played. So here is a player-by-player guide of how to navigate our way through this difficult fixture list. Goalkeeper – Szczesny. No need to rotate except in the Cup matches, or for injury. CB – Mertersacker. Again, a seasoned professional who will happily keep going through all the serious stuff, barring injury. CB – Koscielny. Solid player, but if fatigue is creeping in, he needs a break. The next two games could be ideal for such a break? CB – Vermaelen. Needs playing time, alongside Mertersacker preferably. Play him the next two games and he will be nice and sharp for the four games that follow, in case of injury or suspension. LB – Gibbs. Just had a bout of ‘flu, no need to rush him back. Let him sit out the next game, and do a half game the next one. Then play according to who lines up ahead on the left – see earlier comments. LB – Monreal. Excellent game last time. Keep him in to prove he can do it against a side that provides a sterner test, which I am sure he will. I would also be tempted to play him in the away leg at Napoli, keeping Gibbs fresh for the league games that follow. RB – Sagna. Difficult one. Needs to play unless he has a fitness issue. Perhaps taking an early breather in games we have under control? RB – Jenkinson. Just at the moment he is a bit of a gamble to play from the start, as he has a tendency to get forwards, and get caught out, partly because opposition in the league have realised he is easy to gang up on and get a turnover. Self perpetuating, not playing, not getting into games in good form. Needs a solid back up ahead of him in any game he starts, but maybe use him ahead of Sagna for the last 25 minutes? MF – Arteta. No problem. Can play when needed. MF – Flamini. No problem if he keeps out of the card game? MF – Ramsey. Should need a break, but physically shows no sign of slowing down … until he gets a thigh or groin problem. Best solution is to do some first hour, last 20 minutes, rotation. The next six games look too important to miss out unless he has a physical problem. However, the odd game, perhaps against Hull, could refresh him against mental fatigue? MF – Wilshere. Looked in the last game to have relaxed a little, and let his talent do the talking. Ideal timing to come into form before these crucial matches. Also, ideal player to alternate with the above for mini breaks of not playing the full 90 minutes every time? Not forgetting the ankle tapping that will go on, without, it seems, much support from referees? That is the defensive side stretched to the limit, but with luck they may just see it through? Bench support could come from Yennaris and Hayden, but neither are getting any first team game time. One or the other should be on the bench, just in case? MF – Rosicky. Needs to pick his games where he is absolutely needed, or to be the ‘go to’ sub in every game when tired legs and minds are flagging? MF – Cazorla. Could play most games, but I would prefer he sits some out to be the Ozil back up, and not start when the above does, unless there is an injury crisis. MF – Walcott. Could be about to be the most important player in this whole midfield set up … if he stays fit. Certainly start him against Cardiff, possibly bench against Hull as they are likely to be a PTB side that will not give him space to work in until late on? Therefore keep for the big league games, and bench at Napoli. They need the win, so space in the second half could open up nicely for him? MF – Podolski. Will be useful if he is ready before the New Year. ST/MF – Gnabry. I think we have seen enough of him to know he will be a player in this period. Much will depend on how the midfield is shaping up. He will not play at the same time as Walcott, unless he does have to step up for Giroud. Personally, I do not see that as a major problem, and can easily be tried out at the back end of the next two games if we have the scores under our control. However, he will more likely alternate with Walcott, unless we have the double pivot running, and the AMF’s are playing wide. He does need some playing time, so from the bench with this next match against Cardiff, and the full hour or so against Hull. Then take it from there, as required, but play him regularly. ST – Giroud. Big problem if he gets a long term injury. He seems to be able to take the physical game okay, but there were signs of mental fatigue during the last intensive spell? We have a few players who could step in, but all have a ‘but’ about their suitability. So he plays until he drops. Let’s hope it doesn’t come to that? Bendtner – the most ‘like for like’ player but unlikely to get a good fan reaction. Akpom – Inexperienced, but has been in good form at the lower level. Sanogo – Struggling physically at the moment, but has the potential to be good next season. That leaves: Walcott, Podolski, and Gnabry. The latter gets my vote, preferably with the other two in the line up. Does that analysis worry you more? This entry was posted in Uncategorized and tagged gnabry, Line-Up, Rotation, Youth Academy. Bookmark the permalink. Why dont youlike cazorla and ozil on at the same time? i would like if possible to recall campbell from greece,i think he could be our futcher centre forward? Thanks for an excellent, thought-provoking post. The head says yes to more rotation but the gut says no. When a team is coming together like ours it seems wrong to make too many unwarranted changes from one game to the next. Something is growing between our players and making even one change can disrupt the cohesion levels in the team. Keeping it really tight and only replace players when injured or suspended has its merits. But then the brain says,,, we have all these great players and we need to use them more and rotate the ‘core-players’ more frequently. I guess part of the problem is that Arsene has his team play a form of total football without focussing hard on role discipline and tasks execution. Players are told to express themselves on the pitch and sort things out between them… especially with regards to our attacking football. If players are drilled into roles more, like for example at Dortmund or at the Dutch national team, rotation becomes easier/smoother. With regards to replacing Giroud I would go for Akpom, as I can see him play the same role quite well, even though he is still a bit frail. Gnabry is an interesting option, though. I would like to see him play there and see how it goes. Can he play with the back to the goal, or are you looking at a different style of play with Gnabry leading the line? Just about to go when I see Gezzers new post. Blimey is that all Gnasher cost !, he could be our biggest bargain since Anelka cost ……..what was it ………£500k !. Got to go, well done Gezzer. Hmmmmm…I don’t know if Gnabry has the same level of hold-up play that Giroud currently has. This could come with time, but I see Gnabry more as competition for Alex Oxlade-Chamberlain, than Giroud. Gnabry is very strong so his hold-up play may become better with experience. I also don’t know if his finishing is of the required level yet, despite that goal at Sunderland. He seems to have a very good long-range strike on him, but what about headers, and finishing inside the box??? He hasn’t always been consistent with that, even at the lower levels. The one I would possibly give a shot to is Afobe. He is back from injury, has played well in the matches, since returning, and has proven himself to be a good hold or link up player, and a capable finisher, (AT THE LOWER LEVELS.) I’m not saying he could do as well as Giroud has done, but it might be worth a gamble??? I would also like to thank TA and everyone for their condolences and thoughts. I am busy making supper right now, so I can’t say much more than that, but not having met any of you, that makes it pretty swell that people have feelings for you, even though they do not actually know what you even look like!!! Hahahahahha 😀 I have met some amazing people these past few months…Just people out of the blue. Waiters and waitresses at my favourite restaurant, people in music, people from all different walks of life…My Mom’s friends…Lots of people!!! 😀 I used to be frightened of other people, and to some extent I still am wary, but I’ve learned to at least let people know something about me, before I judge them to be dangerous, or “bad” for lack of a better word. I really am touched by what I have read and heard and seen these past few months. Okay, I’m back from the Bundy – Wolfs faded badly, and were lucky to hang on to the draw. I know what you mean with the strange experience of faceless friends, who still offer you sincere compassion and somehow make you feel better. I have seen it a few times happening on a blog, when a blogger suffered similar painful loss as you just did and was given loads of well meant support. It is a beautiful thing. I think you are a courageous man for being able to speak about your feelings and loss so sincerely. And courage is something we all need to make progress in life, to face those little fears and inner battles, those barriers and insecurities. Plato wrote: ‘courage is a kind of salvation’. Maybe the incredibly painful loss of your mom is helping you somehow to muster more courage to be yourself and open up to others, to take a bit more risk and live your life a bit more. A thought-provoking post, Gerry. I, personally, like Wilshere on right flank more than Cazorla on current form. Walcott is best deployed on right rather than as back-up striker. Poldi is our natural back-up to Giroud, at least until Sanogo is back. Bendtner should not be indulged on the pitch for Arsenal anymore; he is an ungrateful player who has squandered countless opportunities and olive branches offered by Arsene over the years. If possible, we can rest Giroud against Hull as he really can use some rest (maybe Ozil to be rested on same game too). With the quality we have, Cardiff shouldn’t be too hard to extend our top of the table lead. William, you were first up – It is not the Ozil – Cazorla that I see as a problem. But if you are going to rest Ozil from starting the occasional game, then Cazorla is the obvious choice. He like to operate around the centre, as does Ozil. He is a great passer in tight spaces, like Ozil. etc. As for playing at the same time, I see more a question of getting the balance right. I made the point a few times that Cazorla’s tendency to come off the left side is okay at times. When he moves inside he very rarely turns back again. Rarer still are passes to the left side. What happens is he moves across, Ozil moves to the right, where he has a good link with both Sagna and Walcott, but whoever is the other other midfielder, either moves out because it is too congested, or drops deeper. Jack switched his play quite well last time. Rosicky is one of the few who, apart from Sagna or Mertersaker who can do the right to left cross-field ball, so he can open up play down the other flank. ideally you would start with Cazorla in the middle to get the best out of his game, and leave the others to to move around him, inside and outside, just to keep the defenders guessing. The truth is we have one midfielder coming from deep. then either two and Walcott/Gnabry, or three who play behind Giroud. That from a quartet of players to choose from. So they are all going to be playing at some point, it is more important to get the combinations working together, when talking about non-injury changes. So back to the point you raised. If Cazorla sits out a game, he could replace Ozil for a whole game next time. If he is already on the field, then he can easily move into the central role should Ozil do only 70 minutes or so. TA, I also saw the message you sent me about “The Messiah”. THe same thing nearly happened with me, when I played it. People who didn’t make music for a living collaborated with people who do make music for a living and created a beautiful thing!!! As for this article, I might have to re-think my initial evaluation of the situation surrounding Giroud and his lack of a back-up or alternative. I really do like Gnabry, and still see him as a different sort of option to Giroud, like TA mentioned, but I can’t see Afobe getting a chance, to be honest. He would need to go back out on loan and REALLY rip it up, so to speak. Someone mentioned Joel Campbell as an option, and I would lean more towards that school of thought, rather than thinking Afobe has any real chance. That being said, I’m not 100% sure, BUT I think that Campbell has an agreement that he has to stay in Greece for the whole season. Again I could very well be wrong, but I thought I read that on another site, somewhere. – Gibbs , he needs to play tomorrow and Nacho can play vs Hull midweek, why ? because then i would play Gibbs vs Everton and then play Nacho in Naples ( this run ensures, he is in top notch match condition). – Ramsey, yep, he may not show it but the best way to avoid a burn out or injury is by being a tad smart and rotating – prevention is better than cure, so i hope, he’s rested against either Cardiff tomorrow or vs Hull , if not both ? – JW – he needs to play as much as he can be but not the whole games, short bursts of 60 /30 minutes will suffice , no need to rest him completely as he needs minutes and the confidence seems to be getting back again ! Rosicky – super sub, impact sub , our game changer and one we need for bigger matches to control the games ? he was the missed badly vs man utd, and one of the main factors why we lost, i reckon. Gnabry – no, he is fine where he is , he can be our Ronaldo in a couple of years time, in a free role , i’m happy for him to stay out wide or maybe play as a SS , down the line. Theo is the best option as a striker for now, in Podolski’s absence and as Giroud’s Deputy. PS: That’s the spirit, Milo – step by step upwards and forward , we are always here for you, whenever you need moral support or any advice and so on – but Arsenal winning a trophy or 2 or the treble will help make it a tad better as well 🙂 keep your chin up ! TA – Yes there are hard choices to be made when you are not forced to make them. But with such a small core of players, there are only going to be subtle variations in their play, and they are all going to get to train ahead of games. So any changes should not make that much difference, except to the balance of the side. If Rosicky was 10 years younger, and knows what he knows now, i think he is the player that the team needs most of all, and would be in there most games. He isn’t, and we can’t. Ramsey looks durocell right now, but there is only so many times you can push him close to a muscle strain before it happens and he is out for weeks. Jack with his ankles may need careful monitoring as AW has hinted at. Arteta seems to be getting the odd twinge more often now .. So it is no point in avoiding the need for player to have some time out? We are not one serious injury away from a collapse, but even a couple of slight ones puts more strain on the remainder. I have highlighted two players who will very likely play all of the next 10 games; Mertersaker and Giroud. But Sagna comes close to being a third. The what if game begins with PM4. – Either Kos/TV5 or Sagna/Kos, with probably Jenks filling in at RB. Finger crossed that Per stays fit? Giroud – His hold up play is not going to be replicated by any of the alternatives. So a change of play will follow. We tried it with Walcott, but he can do it on swift counter attacks so he is able to use his pace. not so good when we are at home against a PTB side. Gnabry has the physical build to do everything that Theo might do, but with muscle. Chuba Akpom is no Giroud either, but he has shown that he can be deadly in the box. Milo has a good call on A|fobe, if he has put his injuries behind him. Lack of first team experience this term does count against him though, so unless he makes the bench anytime soon, I don’t think his name will be called. So, again problems if Giroud is out for injury, but that is the only way I can see him being rested … unless they give somebody a try, like Gnabry, to relive the fears. Sagna? Well Jenks will do a job, and if he played more often he might become more aware of his limitations. Joining in the attacks down the line when there is cover behind is one thing, but not all the time. Elsewhere, i think there is enough flexibility amongst the midfielders to survive next month. With just one change here and there per game, and judicious use of substitutions, we can rest enough worn out bodies to avoid fatigue induced injuries. But the backs ups do need their game time to keep them fresh? Your face Milo, doesn`t matter to me, it`s what`s inside that counts and you my friend, are a hero……..the first winner of the…………..” Bergkampesque Hero Award ! “. I guess the big question is can Mertesacker and Giroud last a full season with an absolute minimum of breaks. I reckon they can somehow and Wenger will not drop them unless a game is of low priority…..
Milo – Good to have you commenting again. I agree 100% that the players who we might have to turn to in the event of a Giroud drop out, do change the dynamics of our game, but not necessarily to any major detriment if they are prepared for it. Like I said above. It was tried with Walcott before and the team got the ball to him okay. Only NB23 has the similar hold up style to Giroud, and he is appearing on the bench regularly, presumably as cover for Giroud, not as a second striker. However, I think fans reaction would have the same effect as it had on Eboue? Gnabry is the only one who has played well in the team this season, and I would love him to be given twenty minutes at the end of the Cardiff game replacing Giro if the have a two goal advantage. If it is a success then start him against Hull as well, keeping Giro fresh for Napoli? Once it has been shown to work we may not need to run giro into the ground? I have not caught up with the latest Under 21 matches to know how Aobe is doing now, since his comeback. we should not be scared to play the TV5 and Koc partnership, just because it didn’t deliver as well as expected – both are quality and both can still deliver the goods playing as a CB pairing. PS: i know it’s a bit late for you Gerry, so you can reply to my comments in the morning or whenever, please don’t feel the need to reply now if it’s keeping you from sleeping. they might be able to last the whole season without a break – but why take a chance ? this is where SAF was so bloody good, AW has already said that he will look to rotate and i am very keen to see what playing 11 he puts out tomorrow. Why run the risk of dropping points when you are on a good run… it just is not that easy, and as soon as we lose points everybody will say we should not have rested so and so. In theory I agree, but Wenger has a lot more to consider than theory alone…. do you remember an old conversation of ours @ TA – where i predicted that we will be champions of England with 3-4 games to spare ? i wasn’t joking back then nor am i being serious now but somewhere along those lines, it’s a reality waiting to happen. this is our year and we will make it count not by being reserved or reactive but by being proactive and keeping our eyes on the money – AW has never been in such a position before (in the last 8 years) where he’s had a luxury of having 3 top notch Cb’s, 3 top class Fb’s, a million midfielders – so why not rotate when you can in such positions, instead of not opting to use such options and keeping things fresh and creating even more of a tougher competition for places ? create that hunger that much more – look how hungry and raring to go Nacho looked a few nights ago as an example. i have given you the Giroud one because there’s not a lot of options there but why not avail the opportunity of doing a bit of rotation here n there against weaker oppositions of sorts ? JB – Yes, I agree with Nacho for te Napoli game. How we play the next two is six of one and half a dozen of the other? Ramsey will not be missing his ‘homecoming’, so Hull would be a poss. JW – I am not sure after a few games he need to play every game. I think he might be doing a bit of alternating with Ramsey deep lying MF when we only play one of the Flamteta? Santi – Yes, alternating with Rosi would be okay, but I don’t mind both. Gnabry – Agreed, but I would like to assess first in the ST role just in case Giroud does get carried off. I think he has more going form than Walcott, perhaps that is just me. But until it is tried out we will never know for sure? Poldi might be ready for a game over the Christmas period, in which case, the Poldi, Serge, Theo trio could become a reality? No I am still here JB – But the Kos TV5 double act does not do it for me. Individually fine, but they do not compliment each others game. Rest Mertesacker and/or Giroud against Cardiff tomorrow and I guarantee you we will not win… rest them against Hull midweek and it could also happen, but I reckon Wenger will risk some rotation midweek. Will it be Mert or Giro though….. BIGGG decision for the captain of our ship to make..
TA – I think Per’s calm unflappable style probably takes less out of him than say the Kosman? Only injury or flu bugs will get him out of the starting line ups? however, do note that it took Theo Walcott no less than 6/7 years to get AW to play him in the strikers position (bear in mind, Theo was a striker before) – hence, i doubt if AW will experiment as such and chuck Gnabry there (even though, i am not against it really cause the boy can shoot from both feet and can be more clinical than Theo). re- TV5 and koc, what happens when Per gets injured (yeah, assumption) but a scary one – for that reason, best to let them play a few games in the name of rotation and getting a feel for each other in a real match situation – let them get that confidence against weaker oppositions and keeping clean sheets in Per’s absence. Agreed Gerry – and he is at the very peak of his career with the perfect combination between fitness and experience… and OG is not much younger than him. This could be their year, just like it was van Judas’ a couple of years ago. Really off to bedski now. JB – It’ll be a clean sheet tomorrow, we have a world class goalkeeper now? Well chaps, as you pointed out it is late for me. So if there are any late comers I reply in the morning. Night all and thanks for your input. It all helps to keep th BK wheels turning, eh? Oh, and the may be a bit of dogicide if I get woken in 4 hours time! togetherness, team spirit and all that – come on, it’s the same 16 that train every day together ? it’s not like we are going to be knicking a player from Spuds (god forbid) , it’s going to be one of our own players, replacing another one of ours. it’s always a group of 16 at least, that need to be able to be your first teamer’s when called upon , who drops to the bench for who, should be irrelevant as long as there is enough cover for a particular position. as usual , been a pleasure gents and thanks for a really splendid post !!! waiting for 17HT’s next, i think it will be the next one in the pipeline after TA’s preview for tomorrow ? the lad Salah is interesting both Spuds and Chelsea – Alot. I think the best rotation AW could possibly do is to rest ozil and play santi in the hole for cardiff game.i feel ozil’s physical body language at the moment might not be able to last games every 3 days until new year.He needs to be rested a few times for us to get the best out of him.He is new in a physically challenging league from spacy and one sided league in spain. Another player that needs some rest and rotation now is AR.He has played virtually almost every game since the beginning of the season.Flamini/Rosa could do a good job in his absence more especially the midweek game against Hull. I see the good guys winning comfortably tomorrow irespective of BB resistance.0-3 at the end. A. It’s not rotation (always assumed to weaker bits) if they are all just as good. IMO, we are DIFFERENT with Nacho over Gibbs, but not worse. Same for JW or Cazorla. Silicon Valley in me is going to say it’s not a bug but a feature/advantage. C. Regarding OG why does it have to be a similar player. Great creators and MFs find great finishers regardless of style. I’d put Poldi up front and with more mobility there play a little differently and have Ozil supporting Poldi and Theo in an almost 4-4-2… Just a thought..
Gotta fly it’s been hectic here down under tho not like for Milo (best wishes there, mate) ..
Good morning all. So on to the posts that appeared while I got my full 5 hours. Milo, I think you are over thinking this. The first thing to get past is that change is bad. Second, speaking from my point of view, the gap between the two sets of players you list is wrong. Just plain wrong.. If you take the Ox out of the first list, simply because we have not yet seen how close to his full potential he is yet, but not his fault. Then add all the names you put in our ‘better class’ list, bar one, Mesult Ozil, as he is the envy of every other EPL manager, you have a more accurate picture? Fortunately, Ozil is a player who works for others, rather than his own glory. So when it comes to winning and losing against this team or that. Yes, the mathematics are correct. We get 3 points for a win. Yes, the superior team should always beat the weaker team. Yes, it is a bigger battle to beat those teams on a level par, or even superior to us in certain areas. But that is where the mathematical logic ends. Nobody can predict injuries. The point of my post was to show that even with the odd tweak if forced to do so, we do have the players to see us through, but it is a tight call. So the only thing we can do is try and keep every player as fresh as possible, and I am not talking of drafting in 4 or 5 players for the likes of the next two games either.. We know AW tends to lean towards maximum of two players, either forced through knocks, flu, etc, or tactical. I do not expect that to change now. What I do see happening is may be the 60+ minute sub coming to relieve key players much more often, without relinquishing our grip upon games. Don’t worry so much, we will get through it one way or another. Cheers, and after this post OGAAT, okay.. Sorry JB, I jumped ahead to Milo’s comments. Yes, that is what I am also saying. Which is why my opening paragraph said it was was probably too late to draftany body into the group who might at a push be a starter. I still think that Hayden (as Nico Looks set for a good start at Bournmouth today. Fingers crossed he has a good game 😀 ) needs to be on the bench and get the odd 15 minutes alongside either of our DM’s. But he may have missed that boat? Yes to the togetherness point too. They all train, play and socialise, and seem to enjoy each others company. Which is why the whoever starts will have the support of everybody else … and Gnabry has been a part of that group for long enough to be at home with them? On the last point … Look, I know Per is brilliant, but to have him between the posts doing a ‘look, no hands!’ job is stretching it? Ejyk – Thanks for your comment. I think we are on the same wavelength here. I also think if Ozil does sit out a game, then Santi is the one to cover for him. Not least because it affords him that central area to buzz around freely. Also, it may relieve him of that defensive tracking back he does admirably down the left, but probably hates more than anything? I also agree that AR16 should have a break, but.it will not be this game, ‘Homecoming’ and all, and I don’t see the Hull game being the one either, if the above takes place? Napoli might be a good one? Jack is the logical replacement, probably in a defensive line of three – Arteta – Flamini – Wilshere – with the latter two providing advanced support when attacking? 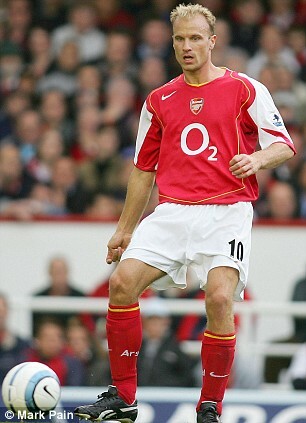 I note you think Rosicky could be AR’s replacement, and I wouldn’t argue with that, particularly in advancing the play. But if it is the Napoli game, I would save Rosicky for a late impact with Walcott/ Gnabry to turn a draw into a win perhaps? I hope your forecast is right. This is why I put up Walcott as being key as to how we get through this tricky period. If he can score some quick/early goals, then the rest of the rotation plan is so much easier? Re C: it would mean a change in style which would need adjustment time and is very likely to cost us points, as it’s done in the past…. Our single biggest risk to not winning the title this year is an injury to Giroud and not have a like for like replacement. The Second biggest risk is one to the BFG, although we have Sagna (but no adequate replacement for him though). I would welcome a top quality striker, but would be just as happy with a player around 24 years of age who Wenger can turn quickly into a Giroud type of striker. I also think it would mean we end up with either Giroud or say Cavani on the bench a lot, as Wenger would opt for one style, I reckon, and they are different style players. Answer to b, Agreed to a point. I’d have Nacho in at Napoli, but Gibbs in for Chavs and Mancs – for his pace. Answer to c, Exactly. well more exactly really, as the contenders will all be different to OG, except NB23, in style if nothing else? The headline that TA kindly inserted is the thought provoking one to my choice. But of all the options, I think he is the one to carry it off the best. Yes, the 18 year old(or is he 19 now?) from Stuttgart, costing just £100,000. He is not just any old player though is he? Low wants him to be at least a contender for the mighty Germany World Cup squad? Says all you need to know on that score. He has been in the first squad virtually throughout this season’s great run. He has the talent, the pace, the build to be in and around the box. i am not suggesting for one minute that he can be a like for like substitute for Giroud, or even that he should even be used as a tactical alternative … at least not immediately ha ha. No, what i am saying, is prepare him for the possibility that should Giro get injured, he will be the one to step in. Otherwise, as stated, Giro plays ’till he drops. But to prepare him, he needs an occasion when we are in a game already won to try it out. Like you say, we have the creative talent in midfield to be able to play the ball to feet. To go wide from defense. Tod o things differently? Different yes, but not something that should be feared if the preparations are in place? No need to patronise, Gerry. Just because I stand up for Jack doesn’t mean I need ”to relax”. If Arsene would be happy enough to ditch our style of play he would go for Pod to Theo up front. Gnabry is a winger in the Ronaldo mould and not a CF Imo. Izuchukwu – Yes, you do slightly miss the point of the post, which is how we manage ‘the here and now’, right up to the middle of January 2014. Therefore, not having these hope for players that may or may not arise …? I can only guess that what you are saying is, ‘If Gnabry is our best back up, then we are short of a quality player’? TA – I disagree that change of style means loss of points. It is only playing balls to feet and using the wide players more. Podolski will barely be ready to start games until Christmas. I wants us to be prepared for the next 4 or 5 games where anything might happen. But we are agreed on the key players not to get injured. I’m not sure the patronising point should be directed at me though/ I used the word ‘relax’ in connection with JW’s attitude remember? Sorry if highlighting the Prof’s comment caught you on a sore point, not intended. Hey, I keep having to defend Szcz from JB’s underwhelming support. Just stick with it, Jack , like Aaron, will prove you right I am sure. am not really conversant with olivier Girioud, please let wenger sign pato by january. That’s ok but none inclution of Rosicky in every game anoy’s me.